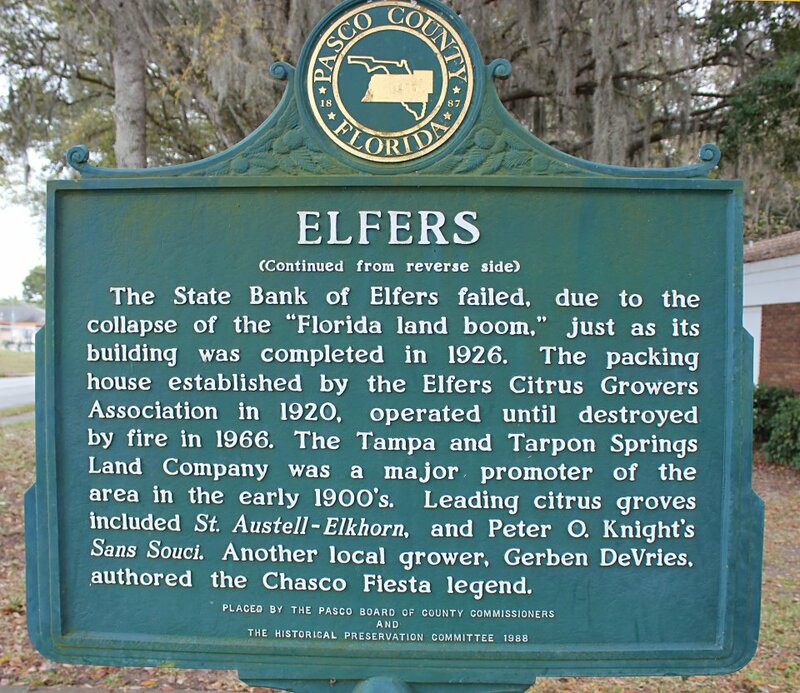 ELFERS HISTORICAL MARKER. This marker, which was dedicated on April 24, 1988, is located at 5740 Moog Road in Elfers. 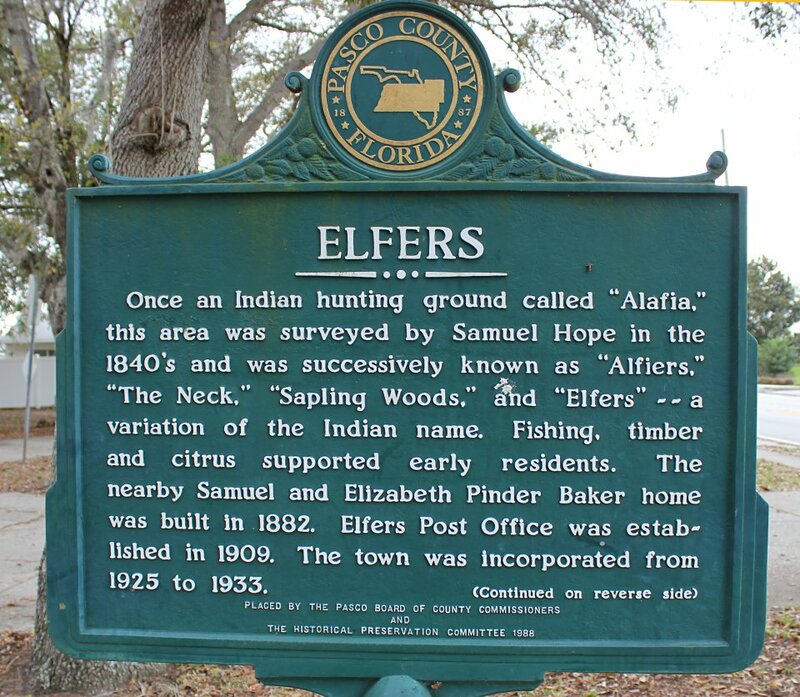 The origin for the name Elfers given on the marker is incorrect.